Preparations are almost done for the next Artemis mission. The last Artemis launch was in July 2010. This will be the first “operational” flight for the Artemis rocket. Previously, all flights were considered “experimental”. 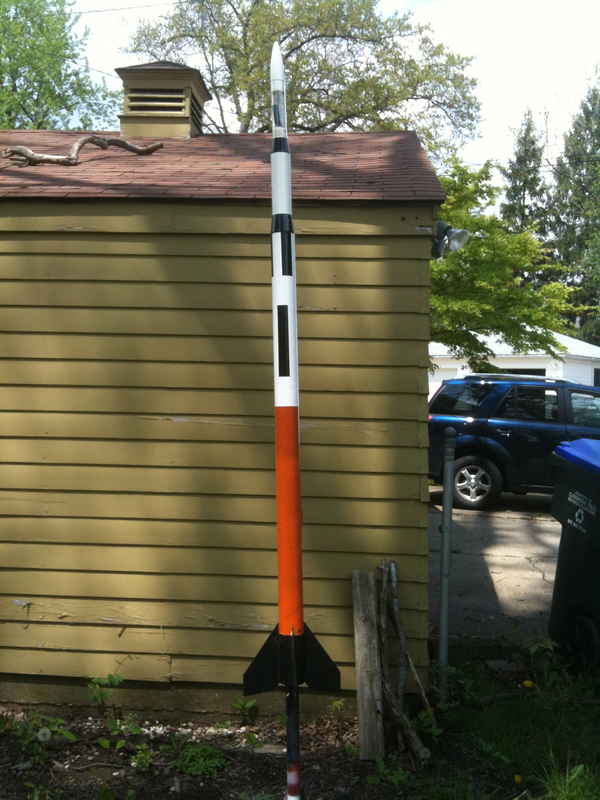 The boilerplate payload section from previous launches was converted to a functional payload section, and painted with roll stripes that will aid in determining stability when viewing videos of launches. Artemis X2 “Garfield” was also retrofitted with a version of our current “Anti-Zipper” tech pioneered earlier this year with the Aurora X5 rockets. This mission will carry an altimeter to apogee. The next one, scheduled for next month sometime will also carry an on-board video camera as well as the altimeter for the first ever in-flight video from the Artemis rocket. 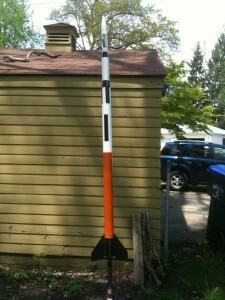 The Artemis booster is a graceful slow-speed flyer, and I can’t wait to record video from the rocket! The long awaited return to flight status of Artemis is pending a GO for launch at the first opportunity of good weather during one of our launch window. A launch for Saturday May 14th is looking not so good. Sunday the 15th might be possible…stay tuned!